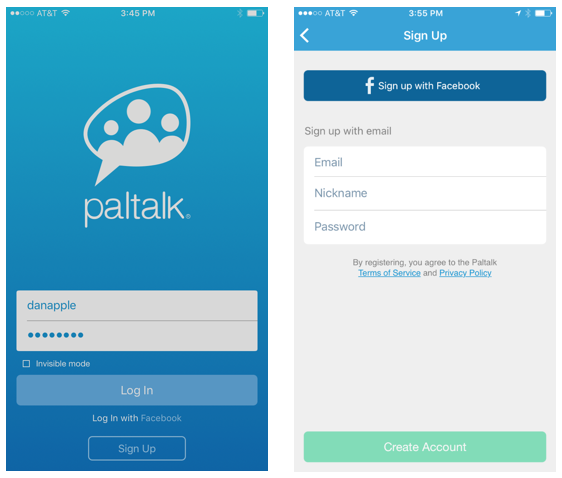 You will be logged into Paltalk. If the name you have chosen is not available you will be prompted to choose a new nickname. Also you may register an account using your Facebook credentials. As an alternative you can register an account using your Facebook credentials.